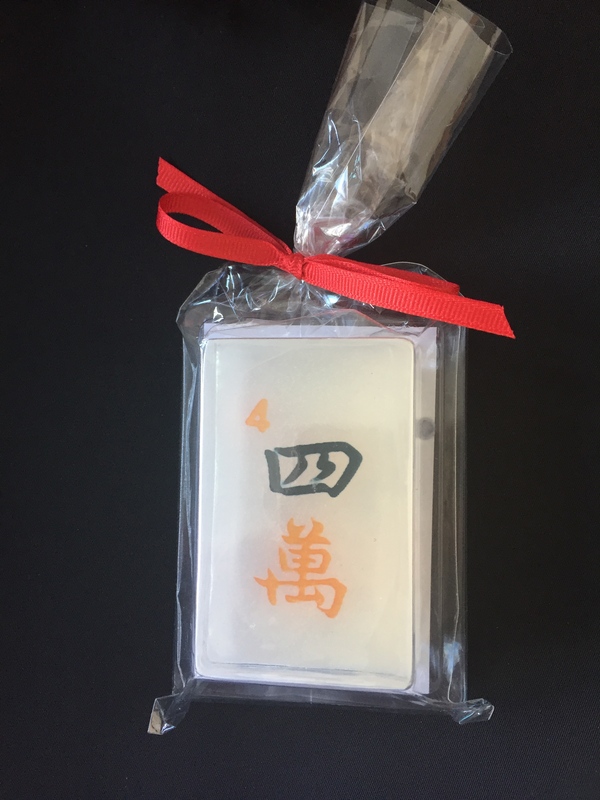 It has been a number of weeks since I last posted a blog but I am back now! 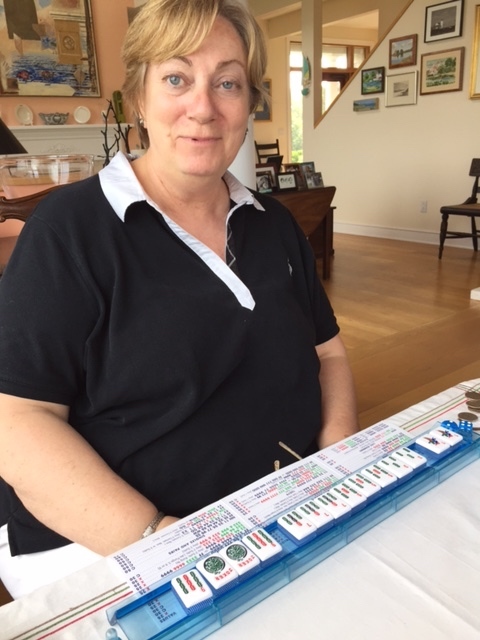 I have been traveling and teaching and playing a lot of Mah Jongg. 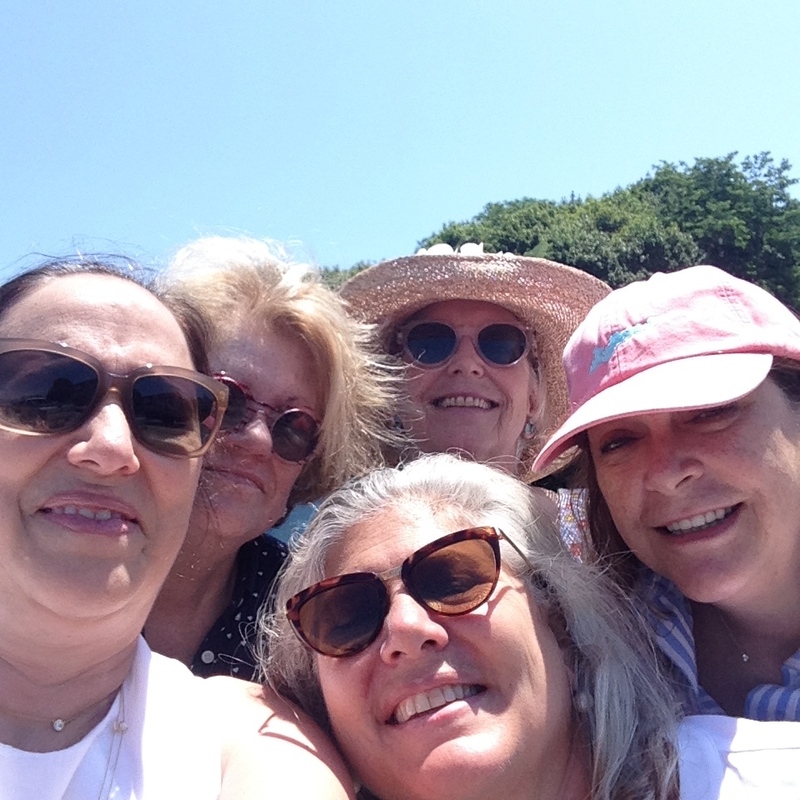 One of the most exciting trips was the one I took to Fishers Island. 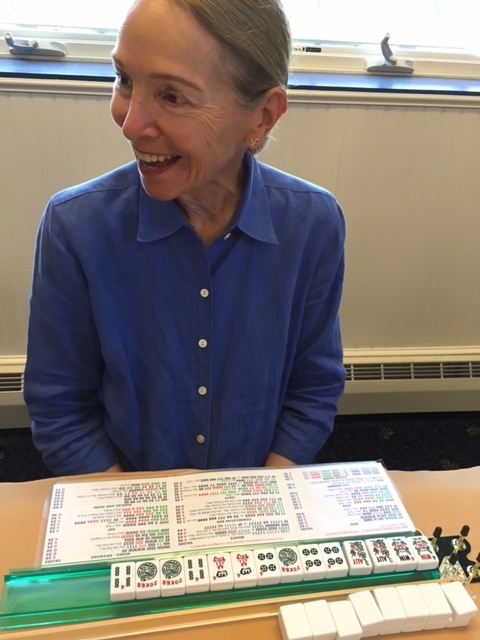 I was surrounded by a group of women – Meredith, Lisa, Peggy, and Donna – who were all once my students and now can beat me handily with their terrific game play. 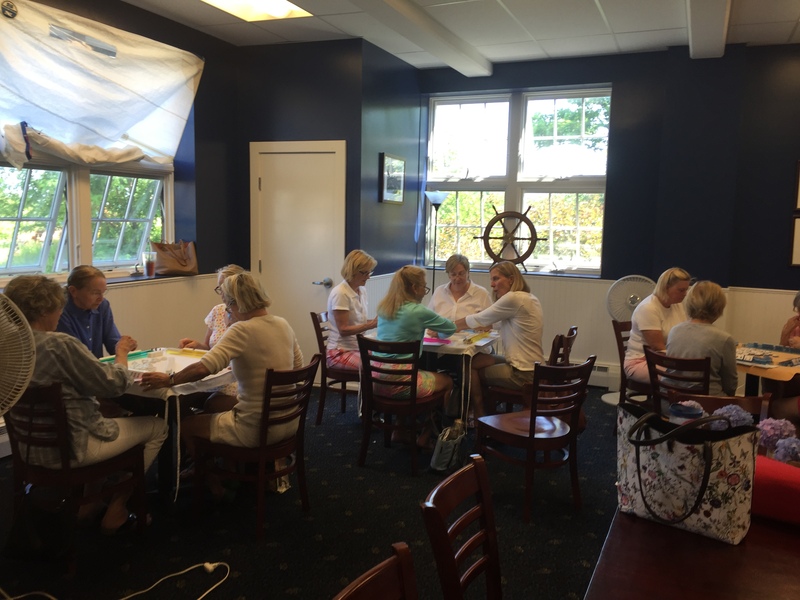 Last year Meredith had planned an intensive Mah Jongg class for the summer of 2016 on Fishers Island. We planned that I would stay at her beautiful island home. One thing led to another and Meredith invited four of our friends to have a mini-vacation at her home while I was teaching. Meredith’s home is huge and so lovely and nothing is lacking. Meredith and her husband Peter were the perfect host and hostess – we couldn’t have been treated better! This was an experiment to teach 5 lessons in three days…and I must say that it was quite successful (and exhausting!). Twelve students showed up Monday morning at the F.I. Community Center from 10am – 12 noon. After a two hour break, they were all back again at 2pm to have their second class from 2pm – 4pm and then off to the F.I. Library at 5:30 for my talk and book signing. The same schedule for lessons happened on Tuesday and then on Wednesday morning we had our 5th and final class from 10am – noon. 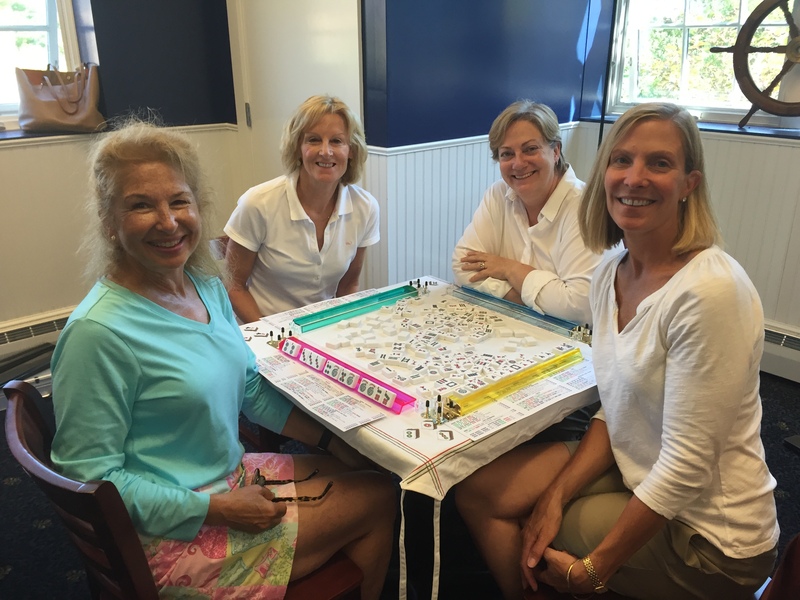 These women were serious about learning and by the 3rd lesson they were playing – cautiously – and by the last morning they had become real players. Some of them were already playing the Singles & Pairs section of the card! I had a wonderful time teaching this 2 1/2-day intensive class and would definitely do it again. 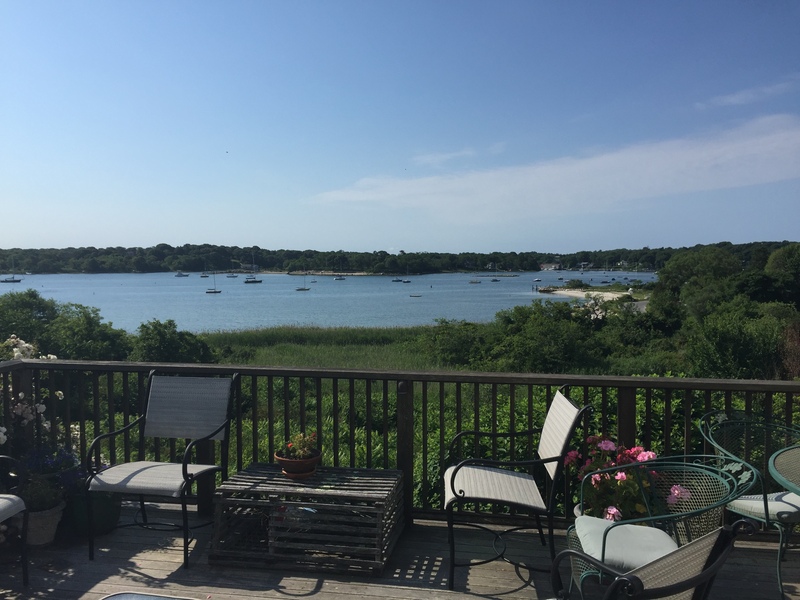 Of course, being Meredith’s guest on Fishers Island really was the frosting on the cake. Enjoy some of these photos from this great adventure. Here is the view from Meredith’s deck: Lisa had a special surprise made for us by Kristen at http://www.sugamesweet.com with images of my favorite Pung Chow Flowers! She also had coasters made for me with these same images. Lisa is so thoughtful and dear to me. 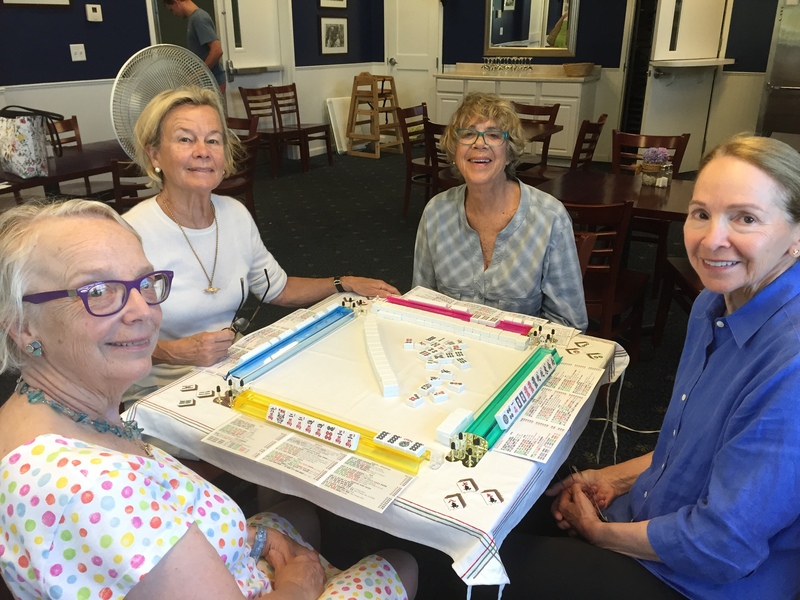 Here are the very bright (and so much fun) students: Mah Jongg! 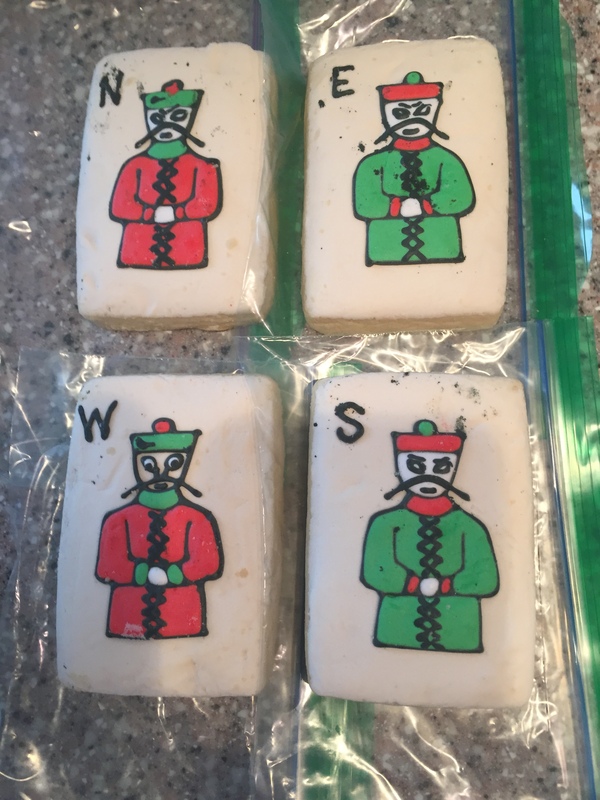 Mah Jongg! 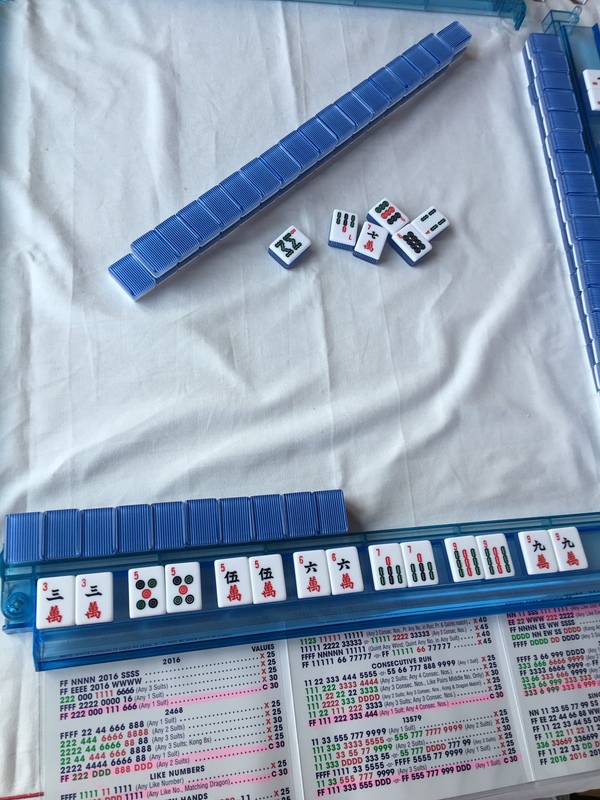 Mah Jongg! With an Atomic hand – these ladies aren’t fooling around!! 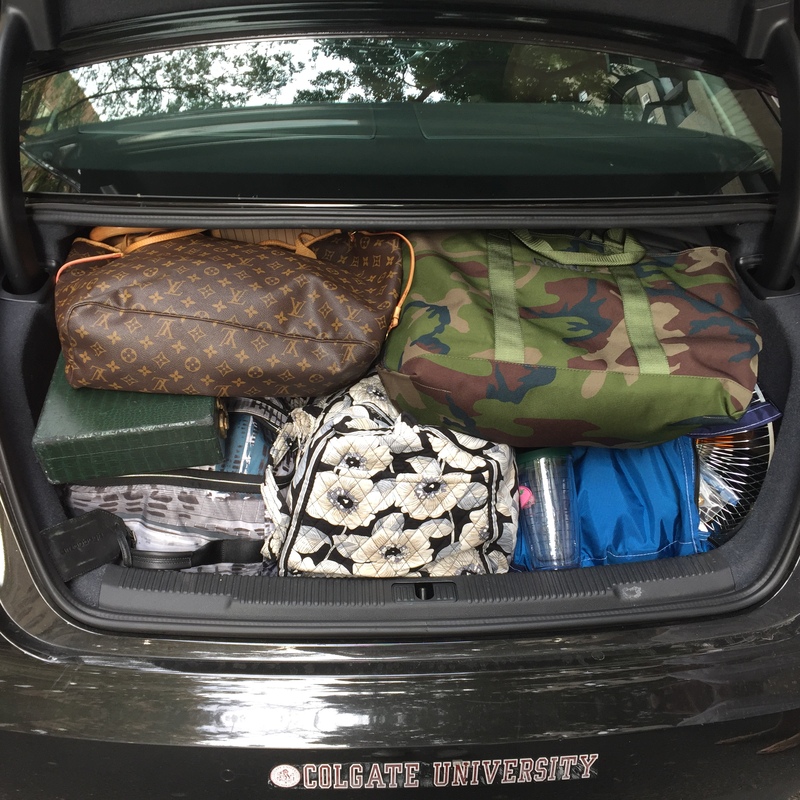 Time to get our luggage in to the car’s trunk – will it fit? YES! 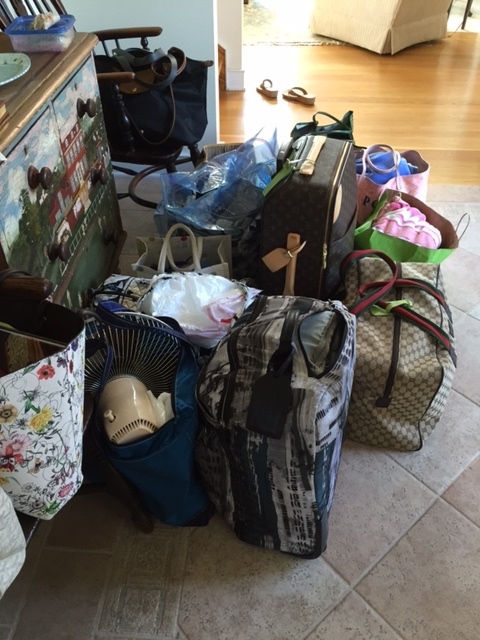 Peggy and Lisa figured it out – it was like an intricate jigsaw puzzle to get all of this into Peggy’s trunk but we somehow did it! 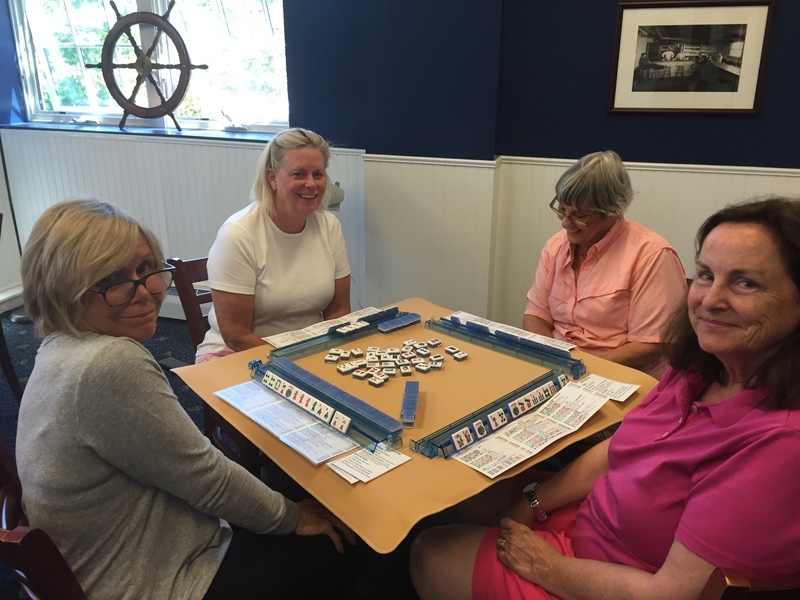 This entry was posted in Mah Jongg and Me and tagged Fishers Island, mah jongg, mahjong, sugamesweet.com on August 16, 2016 by Mah Jongg and Me.